I have always found myself unimpressed by anthologies. For me, it felt forced and sometimes even just lip service for fans. Most of the anthologies I’ve read fell flat so I don’t get excited by them anymore. 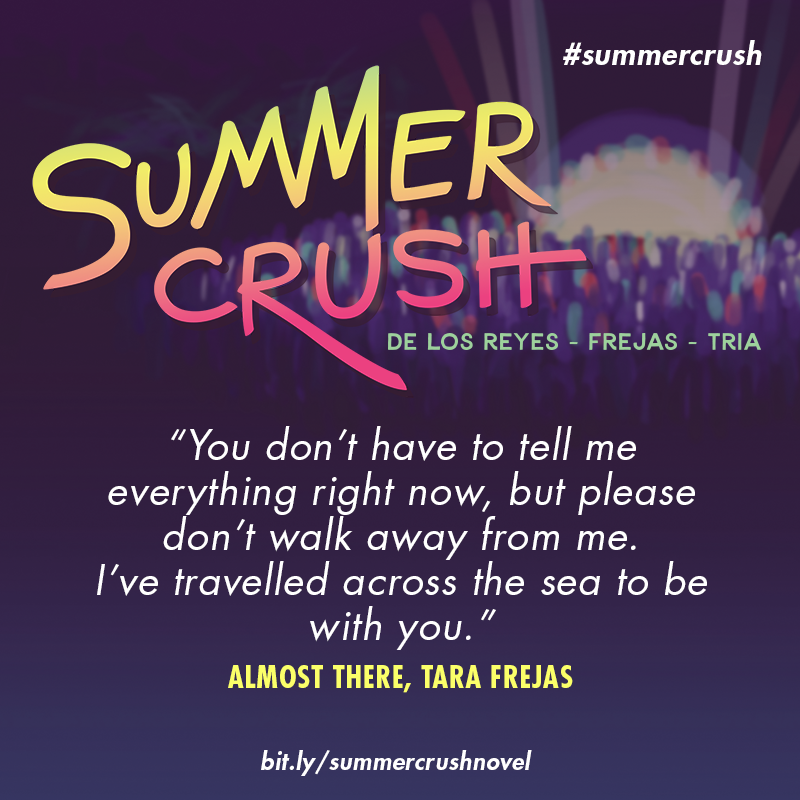 But when I heard that Tara Frejas, one of my favorite local/ #romanceclass authors collaborated with two other equally talented #romanceclass authors Jay E. Tria and Six de los Reyes, I ignored my aversion and one-clicked the book. 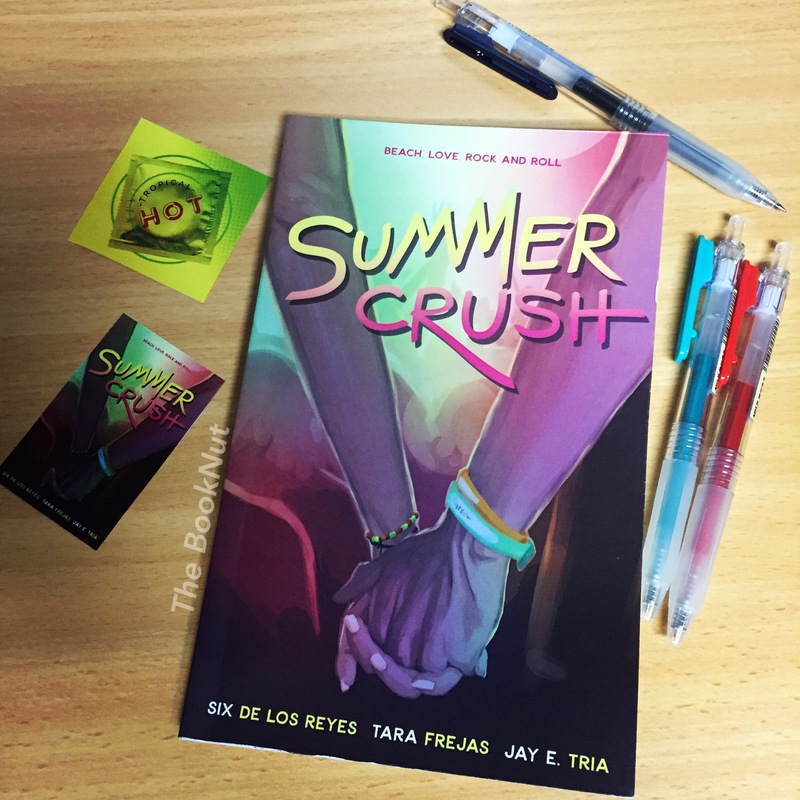 Summer Crush is, as the name suggests, a summer anthology from three separate universes written by Jay E. Tria (Playlist Series), Tara Frejas (Scandalized), Six de los Reyes (Just For The Record and Feels Like Summer). These universes collide and stars aligned to make all these characters cross paths with each other in one wonderful place. Or mainly they were brought together by a music festival “Summer Crush” set in the lovely province of La Union. Here were sun, sand, music and surf come together in perfect harmony. The book is set over one fun and music filled weekend set in San Juan, La Union a favorite surf spot up north. When three bands from different stories come together to a summer music festival, you know you are bound for an exciting ride/read. It opens up to You Only Need Reminding: Miki and Ana’s story of the Playlist Series (Songs to Get Over You). Their story picks up from where they left off, on how they were making their relationship work. Ana the corporate warrior and Miki the indie rock star, from countless all-nighters for tax deadlines and graduate school to nightly gigs around the metro, this was their life. It was an exhausting life but one they both filled with long kisses and sweet embraces. Spaces of time reserved to admiring each other’s passion and a special kind of love that only Miki and Ana shared. But there were certain changes in the horizon that will alter their lives. And in this weekend, Ana would try to make decisions that would affect her and her life with Miki. The second story leads us back to a familiar road manager, an infamous South Korean band, and an incredibly lovable PR guy. Almost There is Fi Legaspi, Jo Yihwan, and Gabriel Park’s story. Fi is finally back at the helms of being East Genesis Project’s road manager and she’s stoked that this festival is set at home. Engulfed with all the flurry of preparations for the band’s appearance, Fi is unaware of certain feelings that are building up inside EGP’s frontman Yihwan. And just as she is finding her way into settling to her fairly young relationship with Gabe, some feelings surface and realizations will be made that might shake Fi’s universe once again. The last story, Ocean Eyes is about Rhys and Isaiah and of course about that group of handsome, rowdy and talented boys called Arabella. Rhys is facing too many challenges this weekend, “babysitting” Arabella, singing a new record live and finally making decisions and providing answers to questions that she’s been actively running away from. 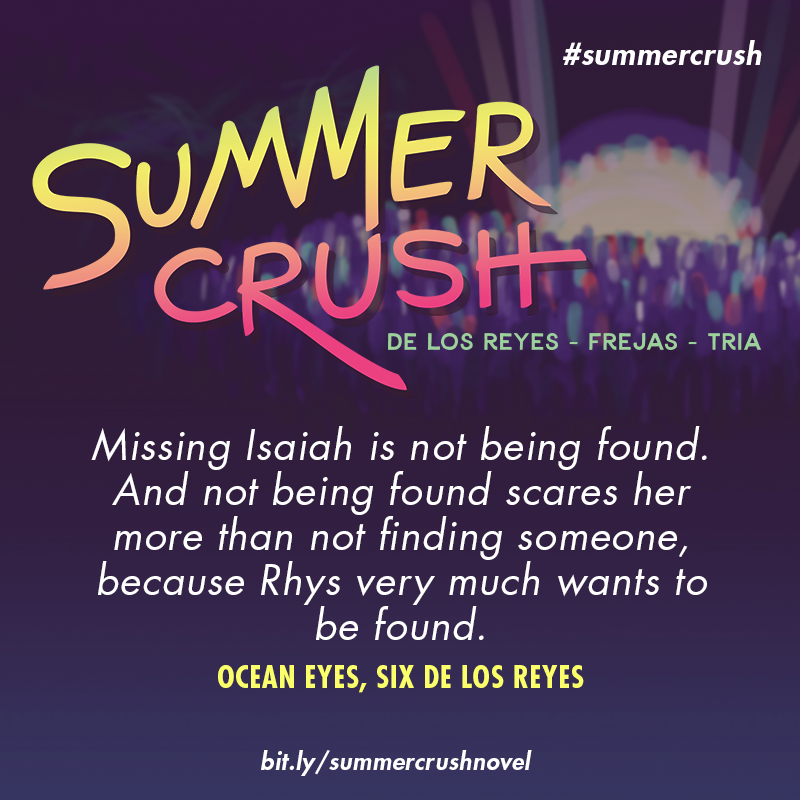 Summer Crush is one helluva summer anthology. All the stories the three authors wrote are special and will tug every emotional heartstring they can find in you. Even if you don’t know the characters or their universe well (when I read this I haven’t read the Playlist series yet, and now I’ve finished it, will do a separate review for that soon!) or if you live & breathe their storylines you’ll be able to relate to it. It’s what anyone can ask for a summer anthology: fun in the sun, the relaxing calls of the waves, music to groove to, mouth-watering abs, uh! I mean cuisine and unforgettable love stories. It had the right amount of funny quips and digs, all the pa-kilig and feels plus steam (more please! LOL). 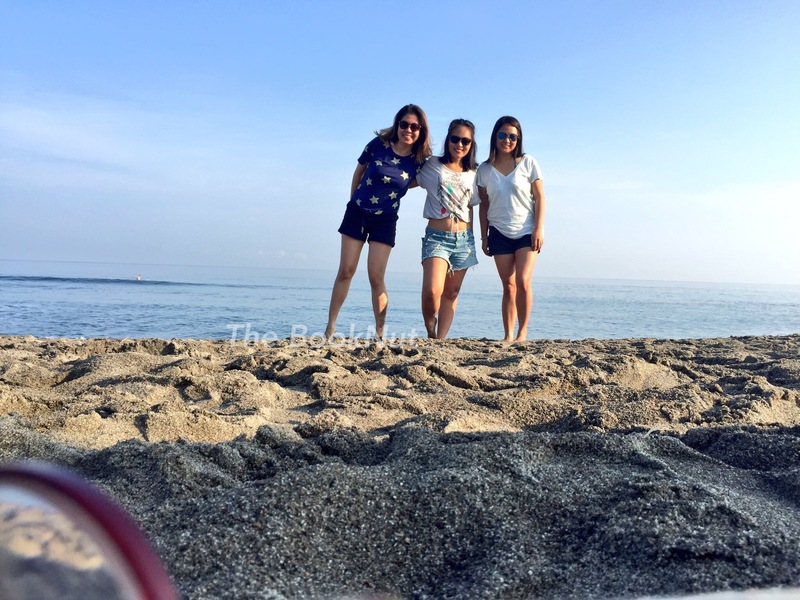 These three ladies will make you wanna be inside the book and experience that weekend of sights, sounds, and tastes of La Union. 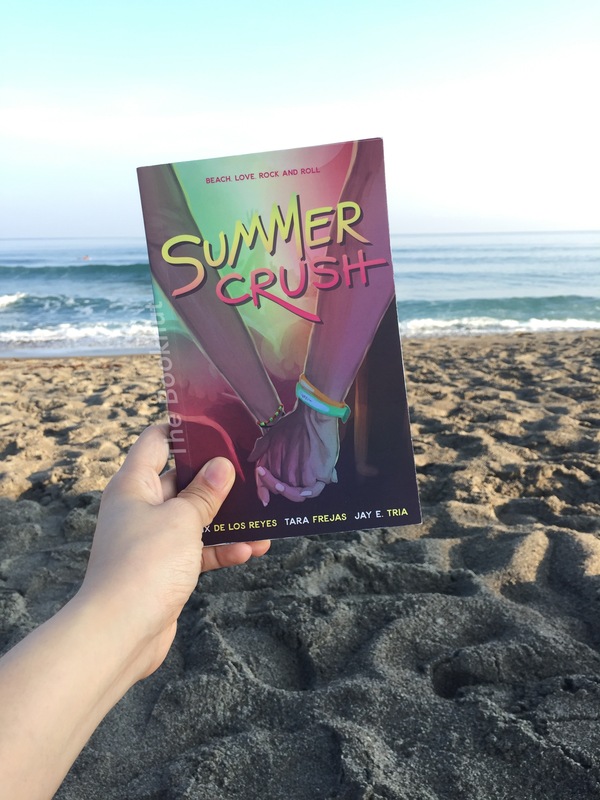 If you’re out and about making your own adventures this summer or simply doing staycations in the metro, Summer Crush is this season’s must-read! 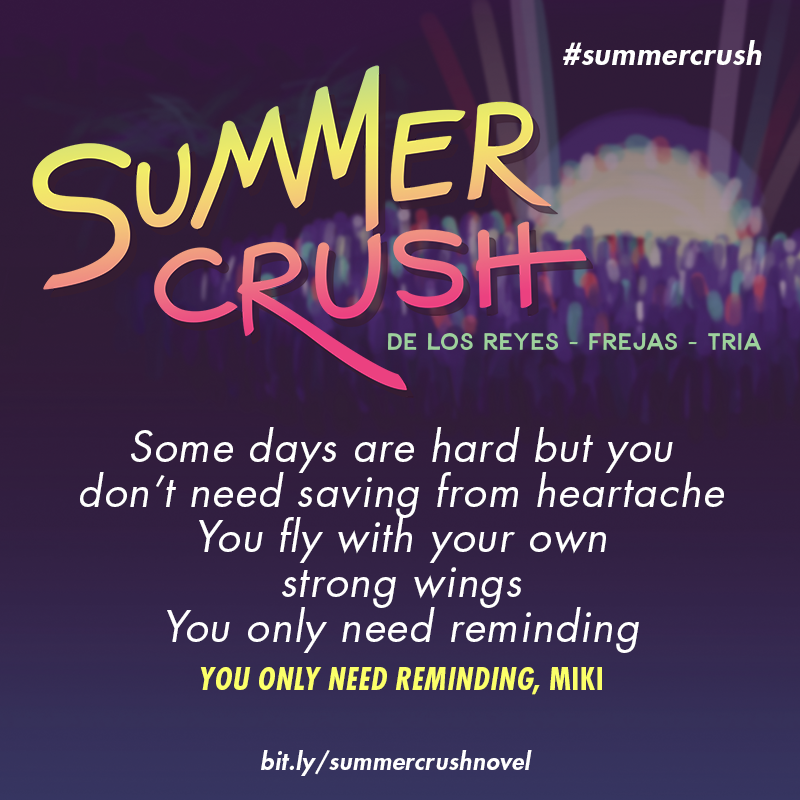 #OneClick Summer Crush and add it to your Goodreads NOW! Yes, I really went to La Union! 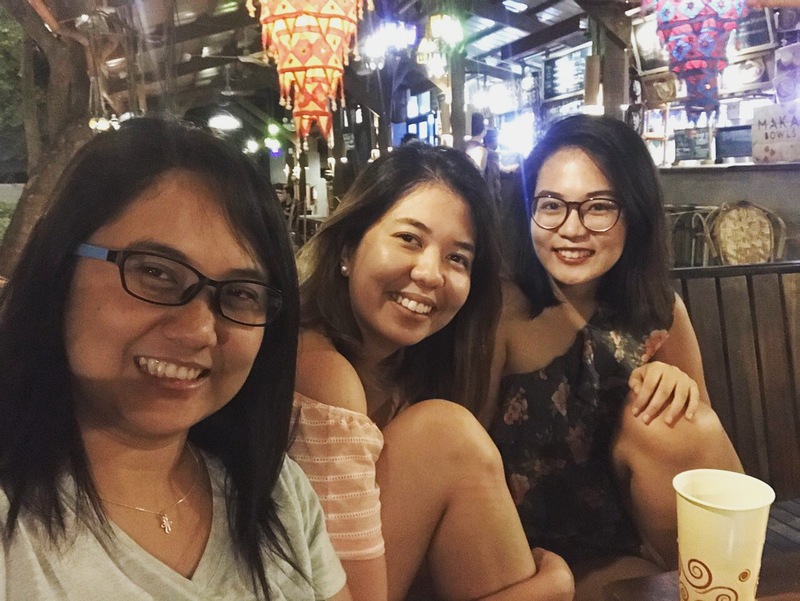 Along with my wonderful friends who have the same love for sun, sand and sea plus books, we went to relive or maybe experience just a glimpse of that Summer Crush weekend. Suffice to say that LU did not disappoint, the food, the people (and pets!) and the atmosphere is so relaxing and laid back that it can refuel one’s soul.